An information design that I thought was both clever and efficient in providing information was this design on the largest bankruptcies in history. 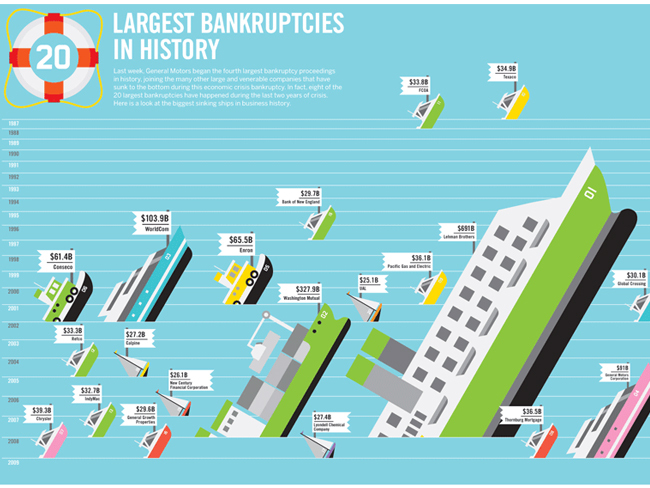 It is a witty way to show “bankruptcy” as capsizing ships, yet works as a strong and readable information design. I’ve done some research, and from what I understand this design was done as a collaborative work by GOOD and Always With Honor. There are many more cool designs like this at their site.